The American goal of maintaining peace and stability in South Asia faces an increasingly complex set of challenges. Mutual accusations of support for terrorism and violent incidents along the Line of Control in Kashmir have inflamed the core India-Pakistan conflict. Pakistan’s relations with Afghanistan also have deteriorated over terrorism and refugees. Initiatives by Iran and Russia may have complicated moves for reconciliation in Afghanistan. Meanwhile, the China-Pakistan Economic Corridor project is realigning regional relationships and economies. The panel will discuss what these developments mean for the future of the India-Pakistan relationship, and potential U.S. approaches in the region under the Trump administration. Officially announced by president Xi Jinping in 2013, the Belt and Road Initiative (BRI) has since become the centrepiece of China’s economic diplomacy. It is a commitment to ease bottlenecks to Eurasian trade by improving and building networks of connectivity across Central and Western Asia, where the BRI aims to act as a bond for the projects of regional cooperation and integration already in progress in Southern Asia. But it also reaches out to the Middle East as well as East and North Africa, a truly strategic area where the Belt joins the Road. Europe, the end-point of the New Silk Roads, both by land and by sea, is the ultimate geographic destination and political partner in the Belt and Road Initiative. This report, edited by Alessia Amighini, provides an in-depth analysis of the BRI, its logic, rationale and implications for international economic and political relations. Alessia Amighini is Associate Research Fellow and Co-Head of Asia Programme at ISPI. Associate Professor of Economics at the University of Piemonte Orientale and Catholic University of Milan. Previously Associate Economist at the United Nations Conference on Trade and Development (UNCTAD). First, US-backed Syrian Democratic Forces (SDF) claimed to have ousted Islamic State (IS) fighters from the last IS-controlled districts in Tabqa. This is a town 25 miles west of the IS’s de facto capital, Raqqa. According to the Syrian Kurdish Hawar News Agency, IS fighters are now besieged at the Tabqa Dam outside the town. Will Sending More US Troops to Afghanistan Turn Back Taliban? As Washington considers sending more U.S. troops to Afghanistan, analysts are skeptical whether the move would help quell a resurgent Taliban or push the insurgent group to the negotiating table. U.S President Donald Trump is expected to announce his Afghan policy later this month and his advisers are reportedly recommending adding up to 5,000 additional American troops. Security analysts say a troop surge would not make a difference unless additional steps are taken including reforms within the Afghan government and convincing Pakistan to break ties with militant groups in Afghanistan. 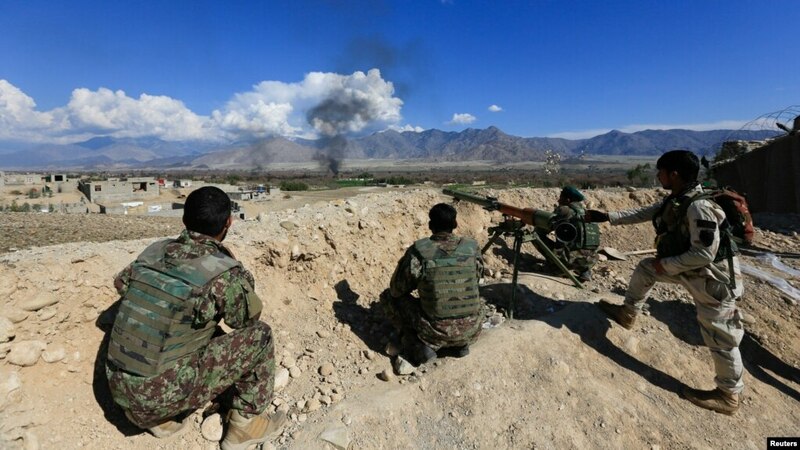 "The troop surge in itself won't lead to either the defeat of the Taliban, it won't even slowdown their advances," said Ioannis Koskinas, a senior fellow at New America, a research institute in Washington. "It is also not going to bring them to the negotiation table. Why should they? They think they are winning and 3,000 troops is not going to dramatically change the dynamics." Speaking Thursday during a U.S. Senate Intelligence Committee hearing, the Director of National Intelligence Dan Coats said the Taliban is likely to make gains in rural areas while the government is being undermined by the country's "dire economic situation." All colonialists come with a veil of pretence. They show their true colours only after settling down on the territory they want to conquer. For a country (Pakistan), which is the product of 100s of years of struggle against colonialism, it shouldn't be too hard to diagnose the colonial ambitions of a rising power, in this case China, which has now made its ambitions open to the world in the form of "One Belt, One Road (OBOR)" initiative that includes China-Pakistan Economic Corridor (CPEC) as a "flagship" project. Chinese official daily Global Times says, "The global economy needs new driving forces, and economic globalization needs new dimensions. The Belt and Road instills the world economy with new imagination." But the veil of pretence is apparent. China can't lead such an initiative without long-term benefits in sight. The British Empire had embarked on a similar "development" path in the 19th Century and the world witnessed its intended results. IE contributing editor on foreign affairs, C Raja Mohan writes that OBOR is "breathtaking in scope" but not "unprecedented". "This is what the British Raj did through the 19th century - opening markets, building new trade routes, projecting power from the Suez to Shanghai, setting up alliances and protectorates that turned the Indo-Pacific into an expansive sphere of influence, controlled from Calcutta," he writes in IE. Why have criminality spiked and socio-economic productivity dropped in Kabul, Afghanistan? This report points to 1) a competition for scarce resources; 2) the uneven distribution of public goods; 3) an obvious ‘brain drain’ out of the city; and 4) a complicated constellation of governing bodies. Regardless of these problems, the report’s author maintains that if positive changes are to take place in Afghanistan, they will have to originate in the capital first. Here are his recommendations. China’s policy on the Kashmir conflict between India and Pakistan has a significant impact on regional stabilization and crisis management efforts in South Asia. Beijing also plays an important third-party role in helping deescalate hostilities between the two countries. This brief discusses the evolution of China’s Kashmir policies over the past several decades and examines Chinese cooperation with the United States during periods of crises between the South Asian rivals. Since the 1980s, China’s policy on Kashmir has shifted from a strong pro-Pakistani stance to a more balanced one between Pakistan and India. Chinese diplomatic support for internationalizing the Kashmir issue in the United Nations has diminished over time, though Beijing also has blocked UN action against Pakistan-linked terror groups. During crises, Chinese concerns about preventing war between India and Pakistan outweighed political considerations to defend Pakistan, and Beijing worked closely with Washington to mitigate regional tensions. It looks as if the Trump administration will soon send 3,000 to 5,000 U.S. troops to fight in Afghanistan, the theater of America’s longest war. The mission — training and advising (and bolstering) the Afghan national security forces — will remain the same even though we’ve seen this play out more than once: the verdict has been the same. We spend a hefty price, only to come out years later disappointed with the results. While President Donald Trump hasn’t made his decision yet, it’s highly likely he will defer to his field commanders. Gen. John Nicholson and Defense Secretary James Mattis will likely receive what they are requesting, so Army and Marine Corps troops may soon be sleeping and working on the very same ground, doing the very same jobs, fighting the same enemy in the exact same way. If this sounds similar, it’s because it is — we had the exact same debate in 2008, 2009, 2011, and 2014. To cite: Sohan Prasad Sha and Suman Mondal. "Nepal 2017: Where to from here?," NIAS Strategic Forecast No. 18. Bangalore: International Strategic and Security Studies Programme, National Institute of Advanced Studies, April 2017. The perpetual state of political instability and transition now rest upon the politics of ‘amendments’ in the constitution. Major contentious issues are: the demarcation of federal boundaries, delineation of electoral constituencies in upper house and local bodies on the basis of population, recognition of local languages and provisions of citizenship. But, the roots of constitutional discords not only at the behest of amendments per se but also the asymmetric numerical balance in the Nepalese constituent assembly turn parliament. This report contends that Australia faces an increasingly crowded and complex geopolitical environment in the South Pacific region. While the most important external powers in this part of the world have traditionally been Australia, New Zealand, the US and France, a number of new powers are becoming increasingly active, most notably China, Russia, Indonesia, Japan and India. Furthermore, South Pacific states such as Papua New Guinea and Fiji are also emerging as local influencers in their own right. Due to the South Pacific’s proximity and strategic importance to Australia, the text’s author concludes that Canberra must respond to the ‘crowding’ of the region by focusing on it in a clear, consistent and sustained way. At the end of April, China’s Defense Ministry announced it would be conducting “live fire drills” near the border with North Korea (MOD, April 27). This followed weeks of rumors that the PLA was deploying in large numbers close to the Korean peninsula, which the MOD spokesperson subsequently denied (MOD, April 27). North Korean revelations of new missile types, several missile tests and histrionic response to U.S. deployment of THAAD missiles have all contributed to escalated tensions between China, the U.S. and both North and South Korea. Further emphasizing the gravity of the situation, U.S. President Donald Trump said that “we could end up in a major, major conflict” (Reuters, April 28). An examination of China’s Northern Theater Command, its military organization responsible for Northeast Asia, provides insight into China’s interests in this region, and particularly toward the Korean peninsula. Russia has not been a significant beneficiary so far of the Chinese honeypot known as Belt and Road Initiative – although there is vast untapped potential to attract Chinese investments into Russia’s infrastructure and industry. Yet, no sooner than the invitations went out for the BRI Forum summit in Beijing (May 14-15), word came that President Vladimir Putin looked forward to attending the event. All proposed projects correspond to modern development trends, and all these things are extremely necessary and highly demanded. That is why Russia supports ‘One Belt, One Road’ project and will actively participate in its implementation together with Chinese partners and, of course, with all other interested states. Siegfried O Wolf: Only less than a half of the countries officially involved with the OBOR initiative, which is also known as the "New Silk Road," sent their delegations to the "Building the Belt and Road: Concept, Practice and China's Contribution" summit in Beijing. A number of countries crucial to OBOR's success - India for instance - are still undecided regarding their involvement in the project. The United States sent a team led by Matt Pottinger, special assistant to President Donald Trump and senior director for East Asia at the National Security Council, a relatively low-profile delegation. The European Union, meanwhile, sent out a "common message" outlining its main interests and concerns about OBOR. It is obvious that apart from China's official rhetoric about the initiative, and the enthusiasm shown by Pakistan, Russia, Iran, and Turkey, the two-day summit that started on Sunday highlighted unease and concerns about China's ambitious New Silk Road project. Recently, two developments concerning China caused a sensation in the media. One of them was about a Chinese humanoid robot named Jia Jia who gave her first interview in English online in an event that got much attention and press coverage around the world. The other was the launch of the China’s second indigenous aircraft carrier, the CV-17 / 001A (also known as the Shandong),to commemorate the 68th anniversary of the People’s Liberation Army Navy (PLAN). Other than fanfare and hype that characterizes such occasions, there was something else the two events had in common: Both involved glitches that upset Chinese viewers. In the case of Jia Jia, the female humanoid fared poorly in her first live “interview,” stumbling over basic queries and speaking only after long, labored pauses. In the case of the carrier, a photo-shopped image of the Liaoning showed a Russian MiG 35 and land basedJ-10 fighter jets taking off from the deck of the aircraft carrier. To the horror of many Chinese viewers, ships accompanying the Chinese carrier in the doctored picture were discovered to be U.S. amphibious assault ships rather than PLAN vessels. Embarrassed by the serious nature of the publicity bumble, the Chinese Defense Ministry quickly issued a public apology. Editor’s Note: The Islamic State's control of territory and zealous fighters vaulted it to the top ranks of the world's most formidable terrorist groups. Less noticed, but tremendously important to the group's success, were its impressive financial resources gained from its control of territory in Iraq and Syria. As the Islamic State has lost ground in both countries, however, its financial future is also in flux. Patrick Johnston and Colin Clarke of RAND present several scenarios for the Islamic State's future operations, finances, and overall sustainability. With operations against the Islamic State in Mosul continuing successfully, if slowly, much of the focus is shifting toward an impending assault on the city of Raqqa. The U.S.-led coalition has continued to reclaim territory from the Islamic State in Iraq and Syria, and the militant group’s finances have been weakened in the process. After the Islamic State seized Mosul in summer 2014, it enjoyed the dubious honor of being the “richest terrorist group in the world.” But this distinction is gone: The United States and its allies have aggressively targeted the Islamic State’s finances and have made significant progress. Between late 2015 and the end of 2016, coalition aircraft struck 1,200 Islamic State oil tankers. A single raid destroyed 168 vehicles in December in Syria. A senior U.S. Treasury Department official stated that the Islamic State’s oil revenue was roughly halved, from an estimated $500 million in 2015 to an estimated $250 million in 2016. One significant hurdle facing military leaders today is the unique challenge of leading millennials. Defined a person born between 1984 and 2000 depending on who you ask, millennials make up much of the active duty military force at the ranks of captain and below. According to the 2014 Military Demographics Review, 4 out of 5 active-duty service members were 35 years old or younger and more than half the active-duty officer corps fell in the millennial bracket. [i] Like many of the generational gaps between the leader and the led that have come before, millennials often confound their leadership and display behaviors or opinions that their leadership categorize as entitled, lazy, or even narcissistic. Though these assessments may be true depending the individual in question, it is incumbent on all leaders of this generation to gain a better understanding of what makes up a subordinate’s background and subsequently, how to best lead them. 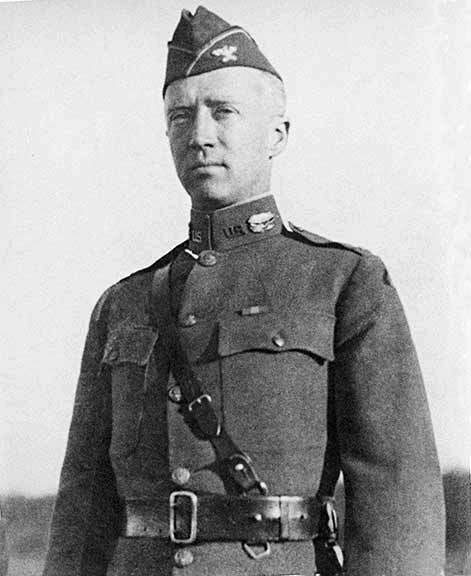 Editor’s note: General George S. Patton was legendarily strict about soldiers’ upholding discipline and character, whether in the barracks or in the field. He believed that honoring tradition and paying attention to detail and etiquette allowed a man to respect himself, and earned a leader the respect of his subordinates. In “The Obligation of Being an Officer,” written in 1919, Patton lays out the standards of those who aspire to be an officer and a gentleman — to live as refined warriors. Does it not occur to you gentlemen that we, as officers of the Army, are not only members of the oldest of honorable professions, but are also the modern representatives of the demigods and heroes of antiquity? Back of us stretches a line of men whose acts of valor, of self sacrifice, and of service have been the theme of song and story since long before recorded history began. Our professional ancestors were sung of by the blind poet Homer a thousand years before Christ. The exploits of these ancestors were chanted by him and other exploits of like nature were handed down by word of mouth or in everlasting marble to the time when they might be recorded in writing for the eternal inspiration of the race. In the days of chivalry, the golden age of our profession, knights (officers) were noted as well for courtesy and being gentle benefactors of the weak and oppressed. From their acts of courtesy and benevolence was derived the word, now pronounced as one, “gentle man.” We, too, are officers and gentlemen. Let us strive to live up to the high ideals of our military forbears. Let us be gentle. That is courteous and considerate for the rights of others. Let us be men. That is fearless and untiring in doing our duty as we see it. Realism’s theoretical dominance in International Relations (IR) – especially its focus on the power of superpowers and its state-centric view of international society – has been challenged by the collapse of the Soviet Union and the global transformations characterising the post-Cold War era. One of those transformations is the way in which “states neither great nor small” are gaining increased recognition amid the disruptive multi-polarity of the current global disorder. Scholars such as Martin Wight and Carsten Holbraad, whose earlier writings about middle powers were overlooked in mainstream IR, are now acknowledged for their scholarly prescience. Bringing middle powers back into mainstream IR theorising is obviously overdue. There are two problems in the theorising of middle powers in contemporary IR scholarship that obscure their positioning and potential in post-Cold War international politics: (1) its intellectual history has been neglected; (2) “middle power” itself is a vague concept. The ranking of states hierarchically (big, small, middle sized) is by no means a modern (or even post-modern) invention. In ancient China and classical Greece the organisation of political communities and their status relative to each other was of great interest to thinkers as diverse as the Chinese sage Mencius (?372-289 BCE or ?385-303 BCE), and the Athenian philosopher Socrates (469-399 BCE). Defending the Navy’s networks in cyberspace isn’t always about leveraging the latest innovative technology. Sometimes, it’s about knowing how to restore a system manually in the physical domain, according to Rear Adm. Danelle Barrett, director of the Navy Cyber Security Division in the Office of the Chief of Naval Operations. “You’re never going to have an impenetrable network, that is a fool’s errand. You will have the ability to fight through the hurt, and that’s where we focus our effort in the Navy,” she said during a panel discussion at the annual C4 Conference on May 3. That ability will often require non-technical solutions. Once those areas are identified, a mature cyber support team should have plans in place for any eventuality, including total loss of the network. That also includes making sure commanders understand what resiliency should mean to them. An updated draft of President Donald Trump’s pending cybersecurity executive order was published on Wednesday, providing a glimpse into the administration’s cyber policies and goals for the next four years. Paul Rosenzweig, the founder of Red Branch Consulting and a senior advisor to The Chertoff Group, posted a copy on the Lawfare Blog. The draft EO mandates a comprehensive review of cybersecurity across federal networks — both the civilian .gov and the defense .mil domains — as well as the nation’s critical infrastructure. Stryker vehicles from the Army’s 2nd Cavalry Regiment in Romania. ARLINGTON: Russia no longer owns the airwaves in Eastern Europe. Two decades after the US Army unilaterally disarmed its electronic warfare branch, two years after Russian jamming crippled Ukrainian units, the Germany-based 2nd Cavalry Regiment is field-testing new EW gear. “We have kit in Europe today,” said Doug Wiltsie, director of the Army’s recently created Rapid Capabilities Office. Successive upgrades based on 2nd Cav soldiers’ feedback will enter testing in July and October, and fielding will follow later this year — despite budget turmoil that has slowed RCO’s other projects. Speaking to the C4ISRNET annual conference here, just two subway stops from the Pentagon, Wiltsie was understandably cagey about details like range and power. The new system will be available in both vehicle-mounted and man-portable forms for use by all types of combat brigades: light infantry, heavy armor, and medium-weight Stryker brigades like the 2nd Cav. It consists of sensors and software to pick up electromagnetic signals, analyze them, and locate their sources for attack. The “offensive capability” is ill-defined, but it sounds like something much more potent than the short-range defensive jammers already common on US aircraft (against missiles) and ground vehicles (against roadside bombs). Yesterday, the world’s media experienced one of those episodes where ignorance feeds panic, and ended up talking about organized attacks and even cyber war about a virus that spreads randomly and should not generate any problems if organizations and individuals have minimal backup. Ransomware dates back years: it infects a computer with a program that encrypts the contents of a computer’s hard disk, demanding an untraceable payment in returning for “freeing” it. The infection can be triggered through spam or other means to get the user to open a link that allows the program to download, which later looks for other computers to infect. If that infection spreads through a corporate network in which anti-virus systems are not up to date, the only thing to do is disconnect the infected computers, remove the infection, recover the contents of those computers from the backup server, and move on. End of problem.